Can I just tell you how much I love fall? I fully embrace the cooler weather and all of the changes that October brings. My wardrobe gets a little cozier, my wellies become a staple and my beauty routine gets an update. 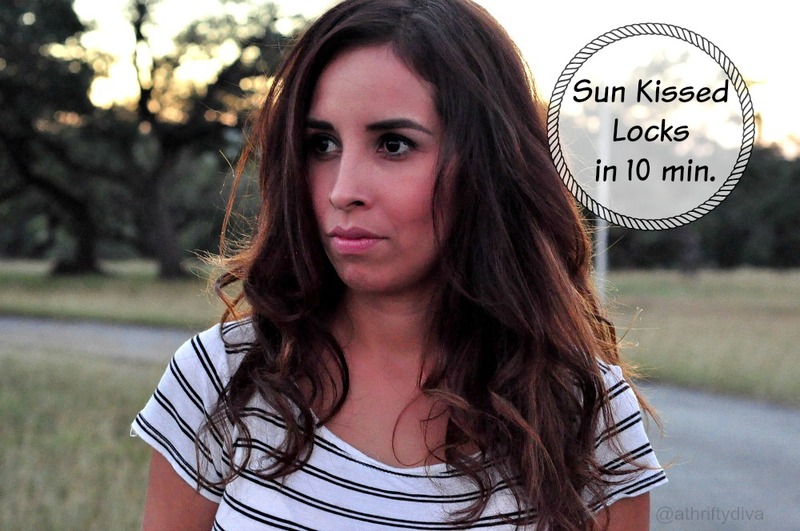 The sun kissed locks got a little update today and I am excited to share this simple how to get Sun Kissed Locks at home. Start with Jolen Creme Bleach, you can find it in the beauty aisle of stores like Walmart, CVS and ULTA. 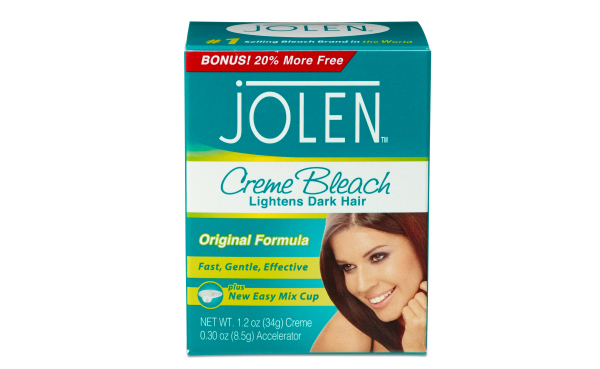 Jolen Creme Bleach comes in an original formula as well as a sensitive formula with Aloe Vera. This is a simple to use product that doesn’t require much knowledge of bleaching. It’s a two step mixing process and only requires ten minutes to process. Mix the creme and accelerator according to package directions in the container. On dry hair, take small section of hair and comb through. Using the spatula swipe through strands you want to lighten. This is not a precise process. The only rule is to complete the strand you start with all the way to the ends. 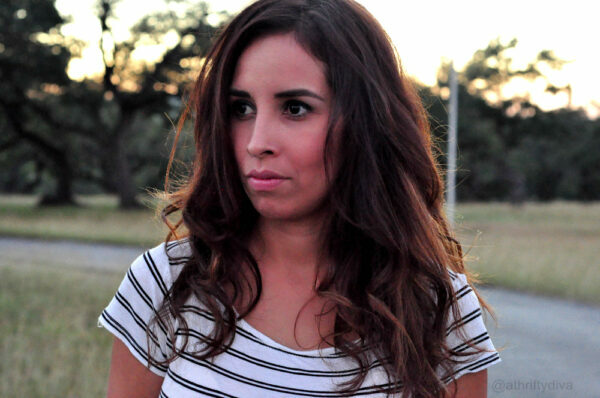 I suggest starting midway down for a more ombre effect. This will allow you to make a mistake that will not look obvious. If you want to add highlights from the roots make sure you saturate the strand to avoid blotching. Leave on ten minutes and rinse through. If you want to go a little lighter, repeat on dry hair recovering the strands. Jolen Creme bleach is also great for bleaching facial hair, eyebrows and arms. Think the lip, cheeks, chin and above your eyebrow. It’s a simple way to make hair invisible without waxing, shaving and tweezing and takes all of ten minutes. Think of all you could get done with that ten minutes. For one you could spend that time entering giveaways. Speaking of giveaways to celebrate Jolens 50 years in the beauty aisle with glam giveaways and beauty tricks from celebrity makeup artists! 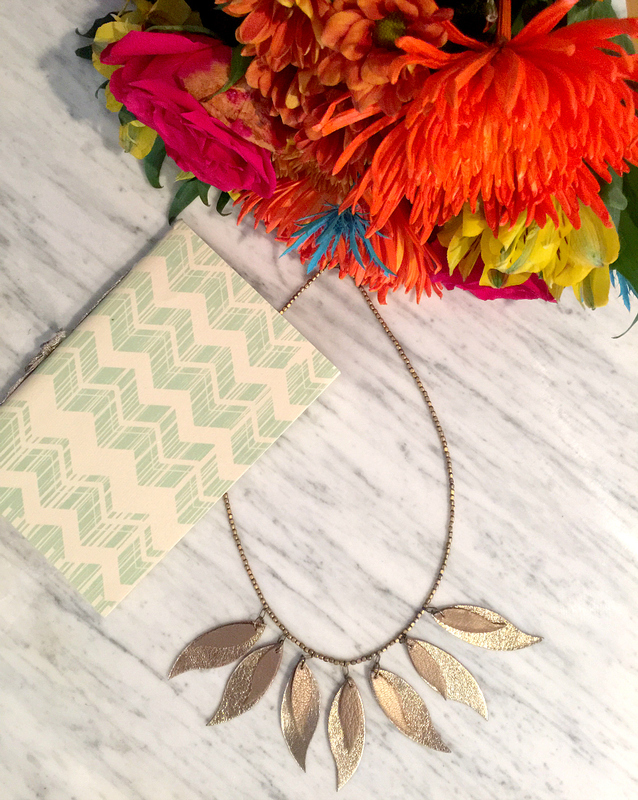 Enter the 50th Giveaway on the Jolen Facebook page now through November 14, 2014. 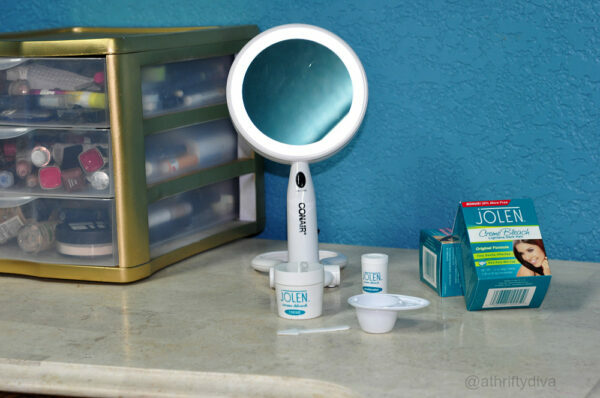 Connect with Jolen on facebook and check out this awesome Conair mirror.